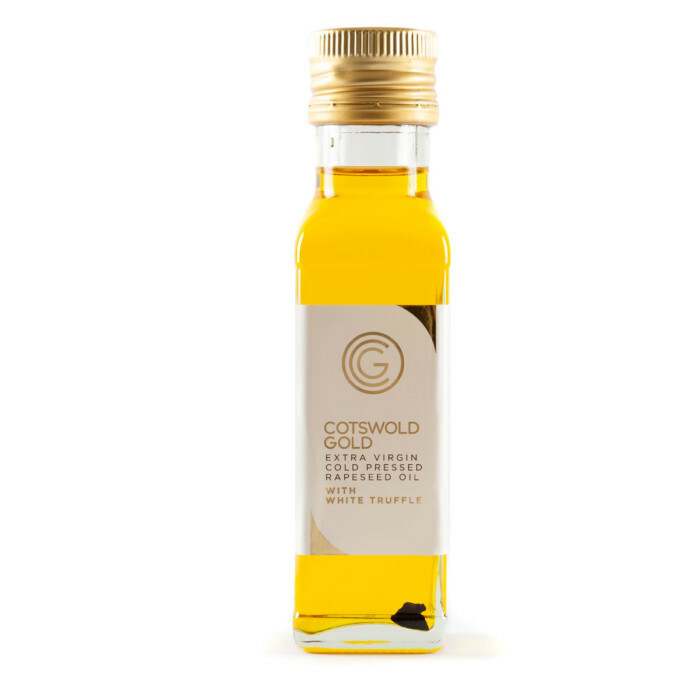 Cotswold Gold White Truffle Oil made from high quality Italian truffles & our extra virgin cold pressed rapeseed oil. Discovered this at the Oxford Food Festival. A wonderful aroma and taste. Excellent as a drizzle on a rare rump steak! I tasted this at the Christmas ideal home show yesterday ,it was fantastic I have never tasted anything like it before could not get enough of it well done Charlie will be back for more ! The best truffle oil I have ever tasted. Just ordered two more – enhances any pasta dish. OMG!!! This is truly the most yummy thing ever, it’s great with pasta, chips, roast pots, steak and omelette.. The Best £12 I’ve spent on a food item in years!!! HMMMmmmmmmmmmm. Bought this at the Good Food Show.. its is Amazing, the best tasting truffle oil Ever FACT!! We 1st bought this at the Good Food Show in Birmingham in 2012, we tested all the different flavoured oils at the show pretty much as it was something we wanted to buy and the Cotswold Gold were by far the best. We bought the Lemon and the Truffle and have been very happy with both. 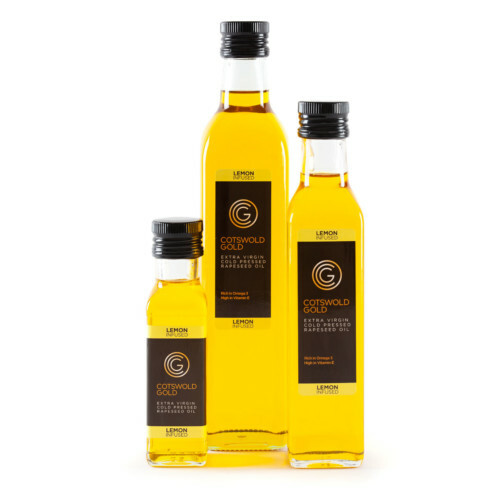 Just ordered a fresh bottle of truffle oil, and giving the cumin and the dill flavoured oils a go too. Purchased this at the Birmingham food show yesterday. Two of us tried it and ended up with 3 bottles. One as a gift for someone else, then one each. I had mine with some pasta earlier…..heavenly is all that can be said. Can’t wait to add to my mash on Sunday roast tomorrow. So glad you guys came to the food show!! My most treasured item in the closet! It’s so delicious and I received fantastic customer service! Thank you, I will be back!! All I can say is that this product is amazing! It’s perfect to bring flavor to your food! Well, I keep coming back for more… This is my third time buying this amazing truffle oil – go on, try it, you will not be disappointed. It is the most fully flavoured truffle oil I have tasted (and I used to live in Italy), a little goes a long way. For a truly heavenly experience: take a bite sized chunk of good quality Parmesan, drizzle over some good local runny honey and then top off with a slick of Cotswold Gold white truffle oil. This made a luxurious addition to top some steak. I will be in danger of adding it to everything! It goes with everything and is super concentrated so although it’s only a small bottle it’ll last ages. If you like truffle you need this in your life. Stop thinking and buy it. Glorious drizzled on so many different foods. Makes a fabulous present too. Delicious!! Being drizzled on every single thing, can’t get enough! !